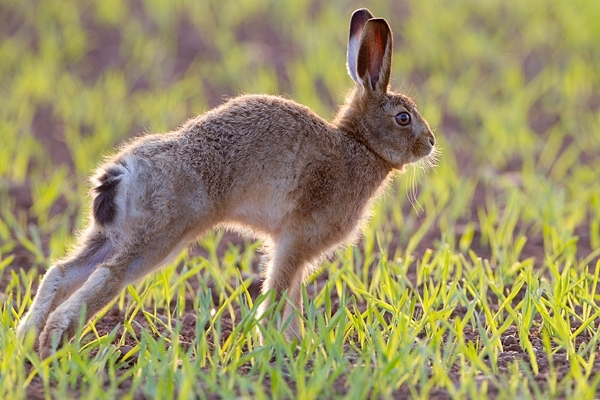 Home | Mammals | Young Brown Hare,stretching backlit. Apr. '11. Taken in a Berwickshire field,in low evening light.